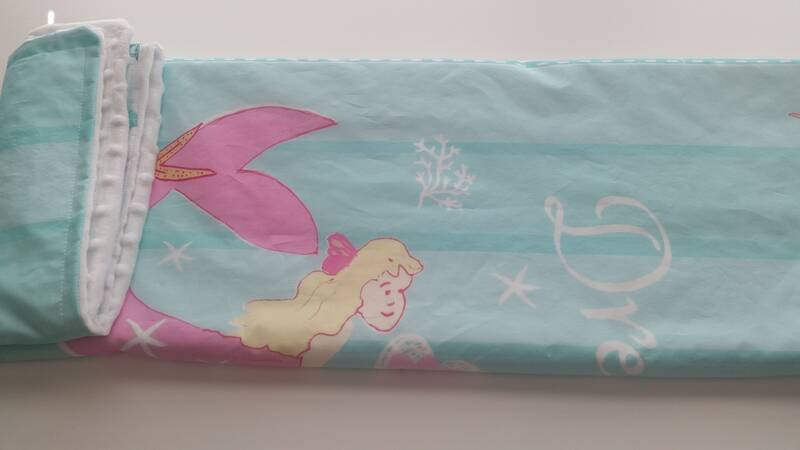 Pink Mermaid "Dream" - tiffany mint blue stripe cotton & minky 32x40 MED 2 layer blanket - for baby / toddler. 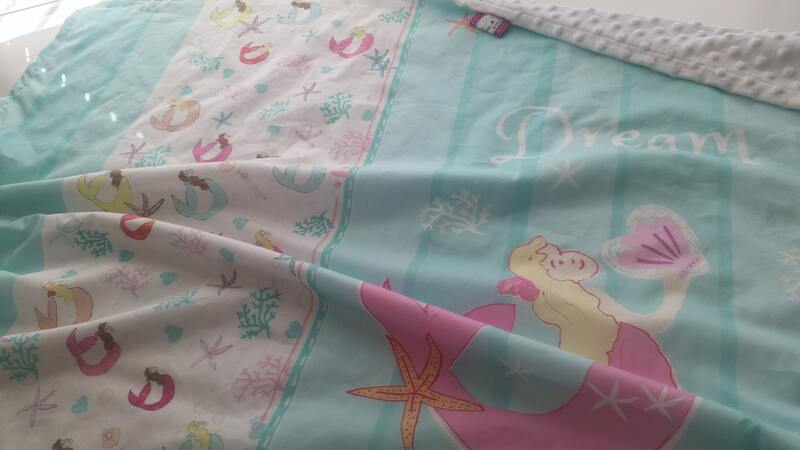 GORGEOUS & cozy soft 2 layer cotton newborn / baby / toddler blanket with super soft minky dot fleece back in white. 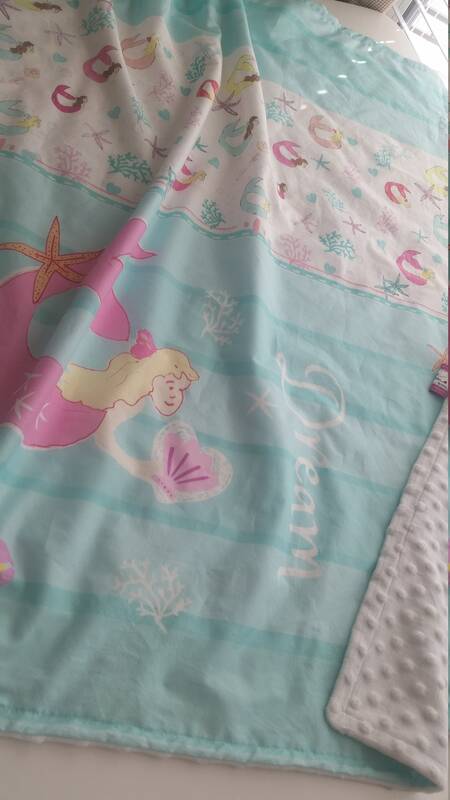 "Dream" quote is in white on soft stripes of tiffany blue/mint. Pink Mermaid centerpiece sits among starfish and adorable sea creatures. 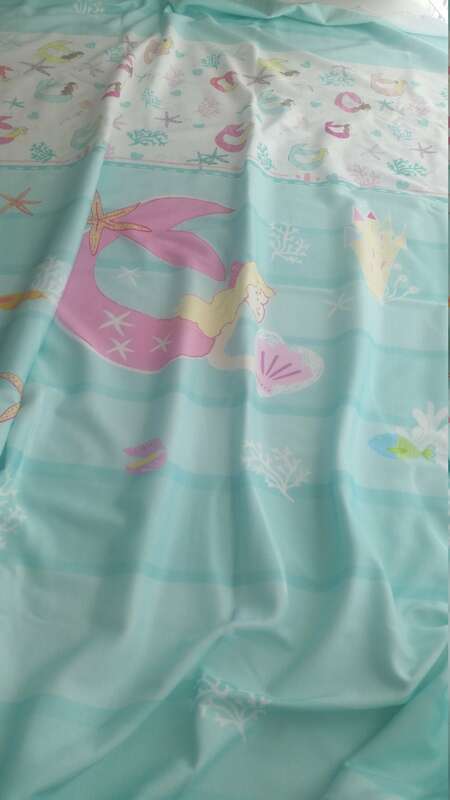 Your blanket's back layer is super soft minky dot fleece in white - cozy soft next to your little one's skin. 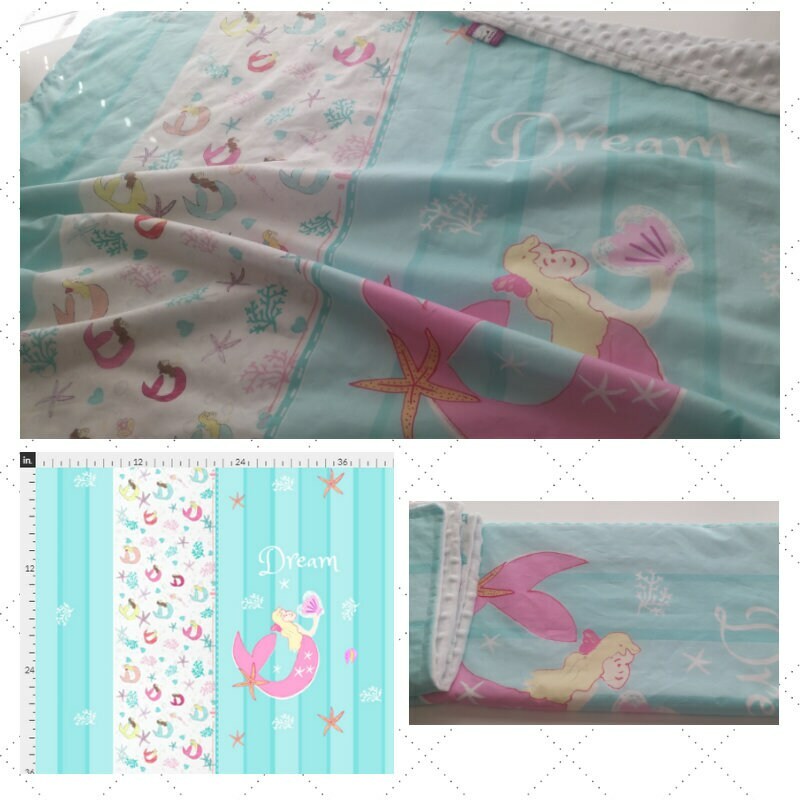 SIZE: Medium 32x40 inches - crib size perfect for naptime, playtime & on the go!